The Monterey Bay Sanctuary Scenic Trail Network is a 50-mile bicycle and pedestrian pathway along the coast of Santa Cruz County, from the San Mateo County line in the north to the Monterey County line at Pajaro. The system’s “spine” will be within the 32-mile Santa Cruz Branch rail right-of-way, adjacent to the train tracks. The rail trail will coexist with existing and potential future train service, and abide by conditions set forth as part of the rail purchase. Many successful rail-with-trail projects can be found across the nation. This configuration has proven to be successful in many other communities and provides safety features to train operations as well as active transportation options for bicyclists and pedestrians. 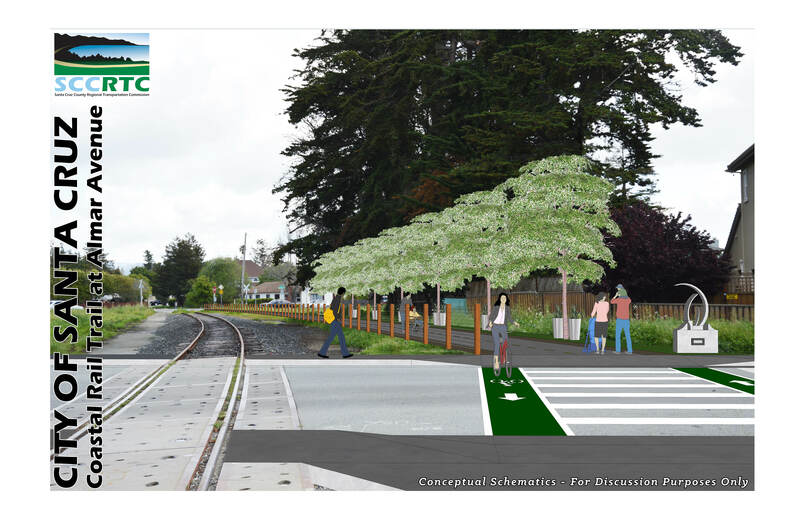 The Monterey Bay Sanctuary Scenic Trail Network (Trail Network) merges plans for a bicycle/pedestrian trail along the rail line – including coastal alignments and neighborhood spurs – into a connected network that will overlap and converge to provide safe and convenient route choices. The trail will serve transportation, recreation and interpretive uses for walkers, joggers, bicyclists, people with mobility impairments, and families. The rail right of way passes within 1 mile of half of the County’s population and will provide access to 44 schools and 92 parks (see map). 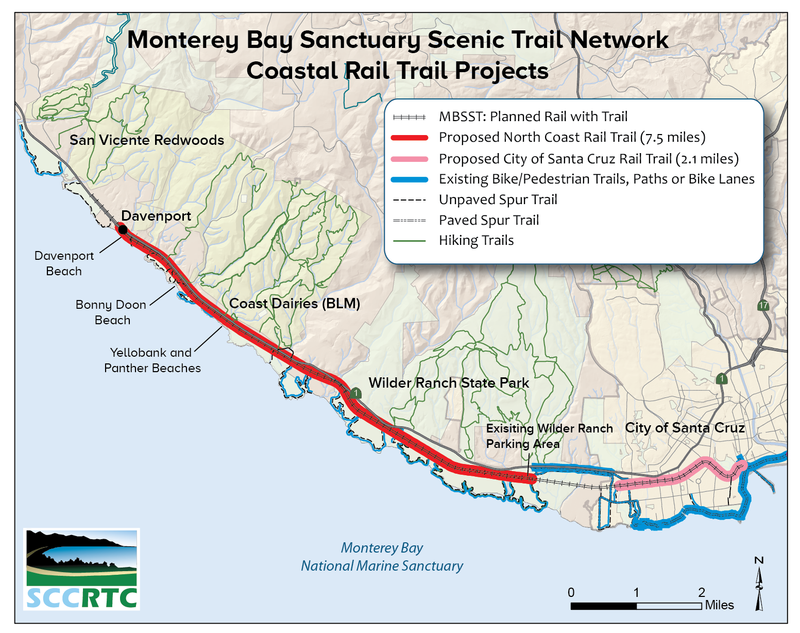 The award winning Final Master Plan establishes the continuous alignment for the Monterey Bay Sanctuary Scenic Trail Network, including the Coastal Rail Trail spine, and associated spur trails. The Final Master Plan identifies planning issues associated with the trail’s construction and presents design, implementation, long term operation and maintenance, policies, and options. 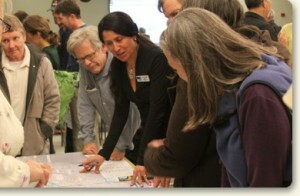 The Master Plan was adopted November 7, 2013 with a revision adopted February 6, 2014, after a 3-year long public and stakeholder engagement process. A Final Environmental Impact Report (EIR) was certified on November 7th, 2013 and an addendum was considered on February 6th, 2014. The broad vision is for a Trail Network project that will span the coast of the Monterey Bay National Marine Sanctuary from the San Mateo/Santa Cruz County line to Pacific Grove, in Monterey County. The RTC is leading the planning effort for project development in Santa Cruz County and the Transportation Agency for Monterey County (TAMC) is responsible for Monterey County projects. 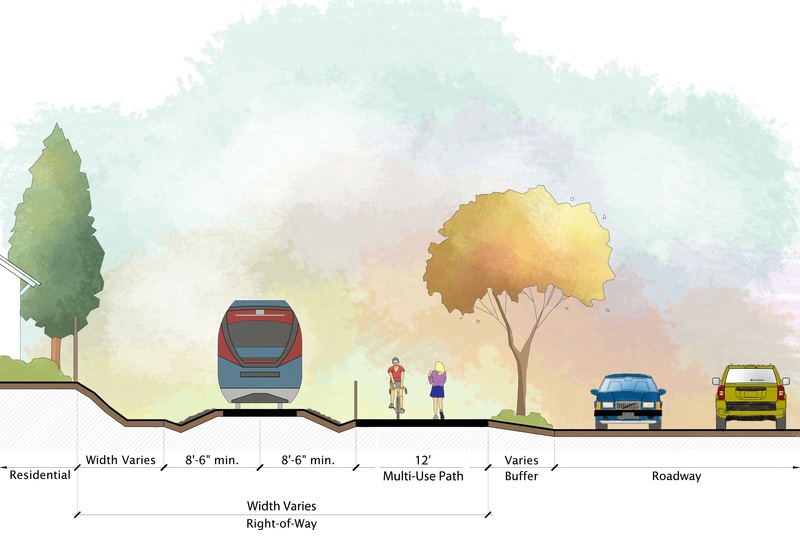 This approach will ensure that the planned bicycle/pedestrian network will provide connectivity throughout the county and into the Monterey Bay region, and serve as the California Coastal Trail in Santa Cruz County. In November 2016, Santa Cruz County voters approved Measure D – which commits 17% of a new sales tax revenues for trail construction, maintenance and management. Congressman Sam Farr is one of the project’s most passionate champions and secured millions of federal dollars to kickoff construction of this two-county path while he was in Congress. In 2013, RTC selected specific sections of the trail to receive $5.3 million in federal and state funds. Funding partnerships with the California Coastal Conservancy, Land Trust of Santa Cruz County and Friends of the Rail and Trail will enable the RTC to leverage state and federal grants. 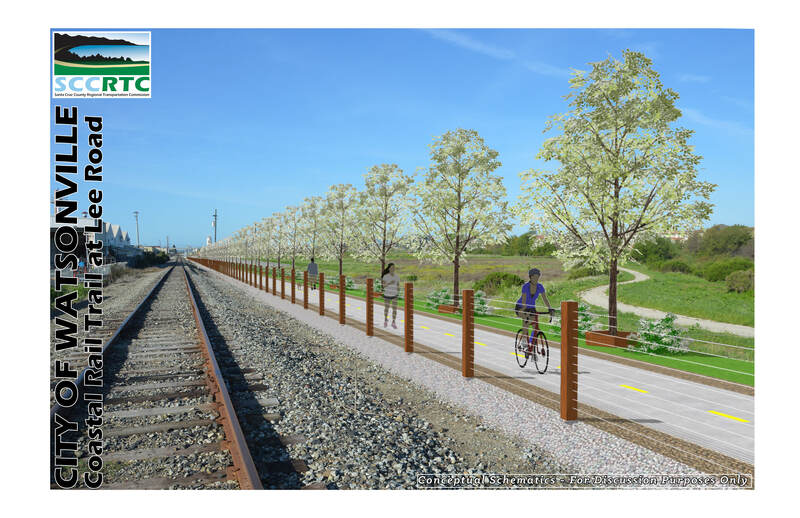 To date, 13 miles of the 32-mile Coastal Rail Trail project are in progress. Approximately $40M has been secured to build current projects and advance future projects.